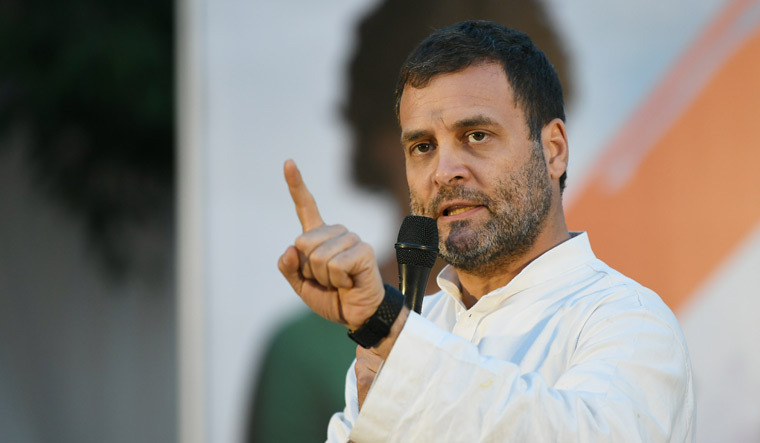 BJP MP Meenakshi Lekhi on Friday requested the Supreme Court for criminal contempt action against Congress president Rahul Gandhi over his comments against Prime Minister Narendra Modi in the Rafale defence deal case. The apex court has agreed to hear the contempt case against Rahul Gandhi on April 15. Welcoming the top court's order in the Rafale case earlier this week, Gandhi had remarked that the “Supreme Court has said, chowkidaar chor hai” in the verdict. In a setback to the Centre, the Supreme Court had on Wednesday allowed the plea relying on leaked documents for seeking review of its Rafale judgement and dismissed the government's preliminary objections claiming "privilege" over them. How 'monstrous' will Rahul Gandhi's victory margin in Wayanad be? Welcoming the SC move, Rahul Gandhi had asserted that the apex court order on the deal was an affirmation of his stand. The same day itself, the BJP had accused the Congress chief of "gross contempt of court", saying he attributed to the Supreme Court what it never said in its order on the Rafale deal. Lekhi, in her plea, argued that Gandhi waas trying to create prejudice among the public by attributing his personal remarks to the top court. Senior advocate Mukul Rohatgi appearing for the BJP leader in the Supreme Court on Friday.